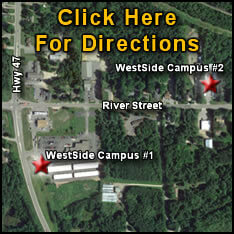 West Side Mini Storage located near the intersection of Hwy 47 north and Hwy K in Rhinelander. Secure Anti Pick Cylinder locks provided for each unit along with 24 hour lighted access. We rent units 7 days per week. Fast and convenient. No waiting for someone to show up. Simply stop at Wagners WestSide Shell and rent a unit during normal business hours. Takes about 15 minutes. For our tenants' convenience, we now offer these locations to rent units, make payments or return keys. Stop by any of the locations listed below between the hours of 8am to 8pm, 7 days a week, or call (715) 420-0084. *Hodag Mobil only offers payments and key return. 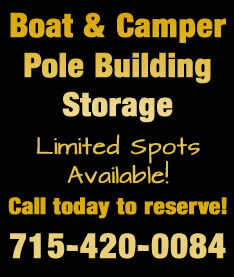 Climate controlled storage & Climate controlled storage for Autos, Boats and Motorcycles. © 2019 Gillespie Development LLC. All rights reserved. Neither Gillespie Development LLC nor By Request LLC shall be held liable for any typographical errors, misinformation, or misprints.